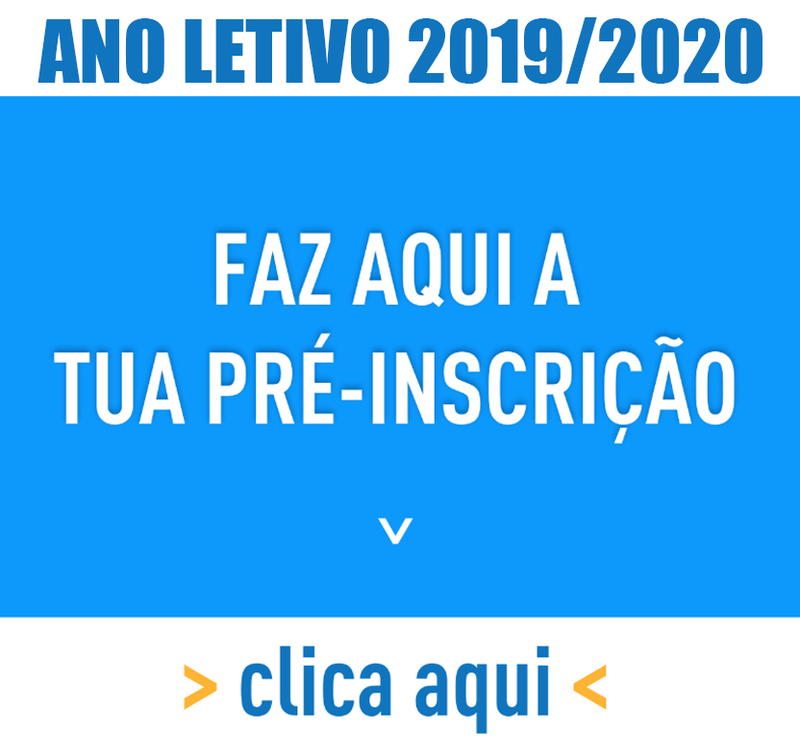 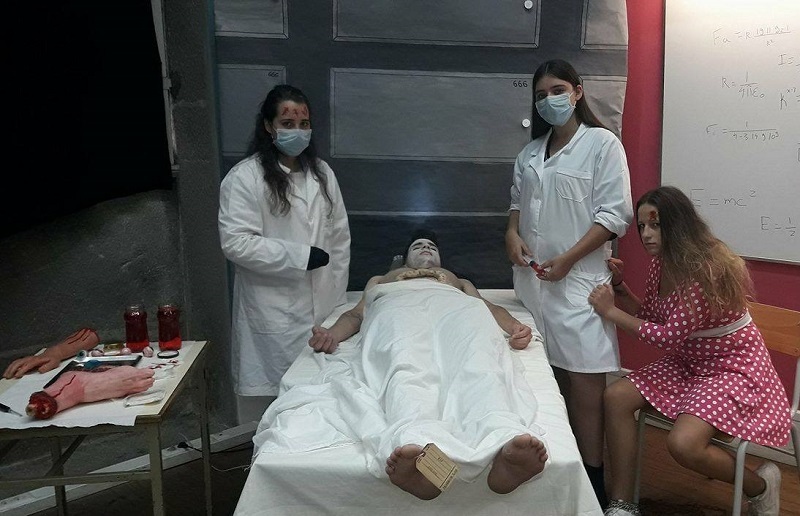 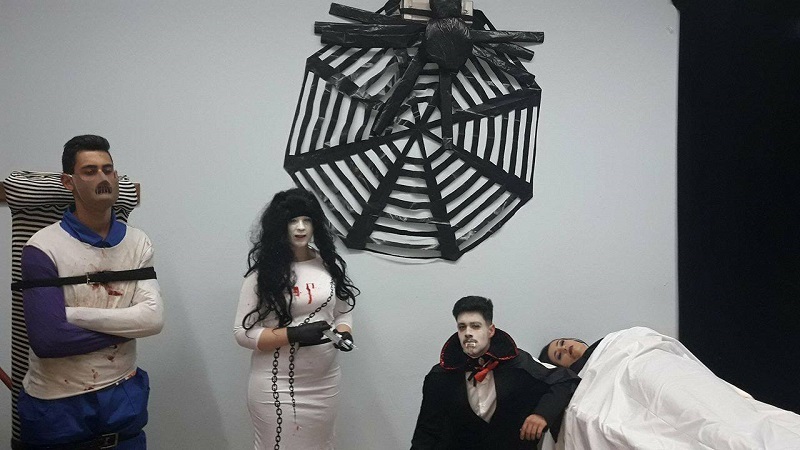 In the morning of the 31st of October, the classes TRB1, COZ1, RB1, TR11 and TAI4 had the opportunity to discover the Halloween Horror Lab that was created by the TRC2-Técnico de Receção students. 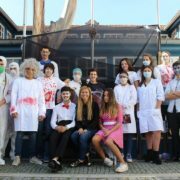 Separated into groups and after a reception in the school yard, the “victims” were taken to the lab where the sick scientific minds and their human guinea pigs were waiting… Those who did not dare to enter were tortured by the cries of their colleagues who begged for help…and were having lots of fun! 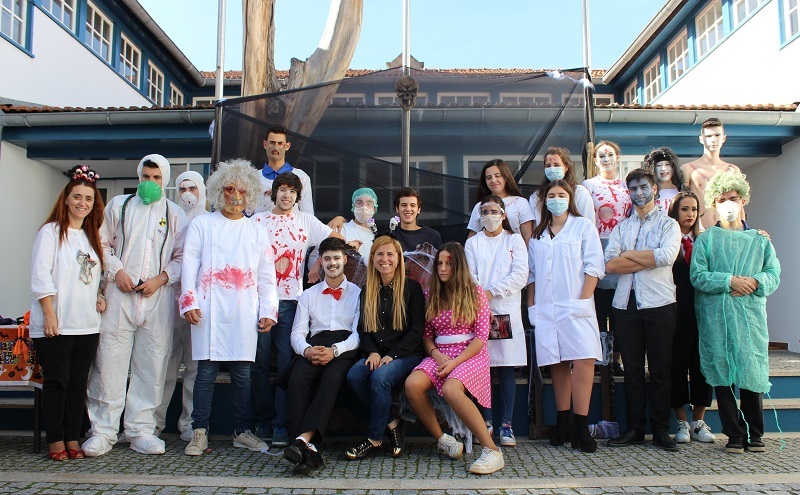 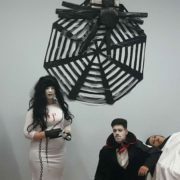 Throughout the activity, by the comments and reactions of the visiting students, we noticed that, despite being half frightened to death, everyone enjoyed the adrenaline rush and for the host group it was a pleasure to develop a Halloween activity for the second year in a row, at EPE, under the guidance of our dedicated English teacher Sílvia Pires. 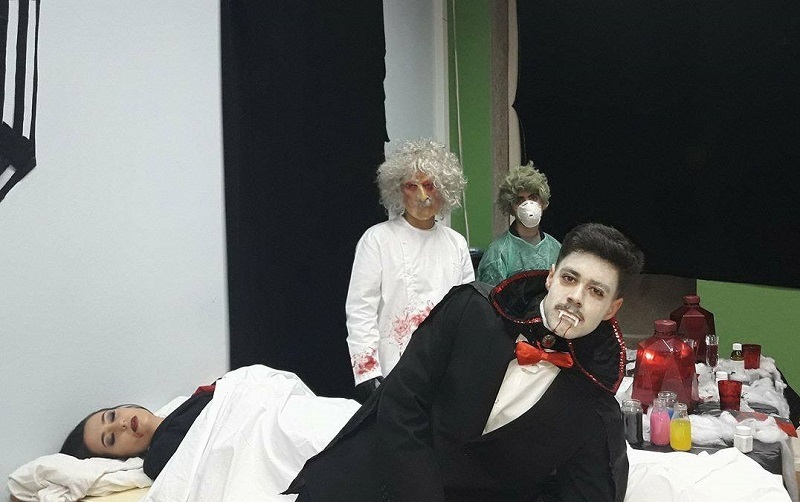 It was absolutely awesome and unforgettable! 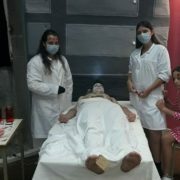 As a finalist class, we hope that our project will continue in the years to come and that you enjoy yourselves as much as we did!